The ultimate good Samaritan. The Huck mini-bust is from Mark Millar and Rafael Albuquerque's stunning Huck series, published by Image Comics. 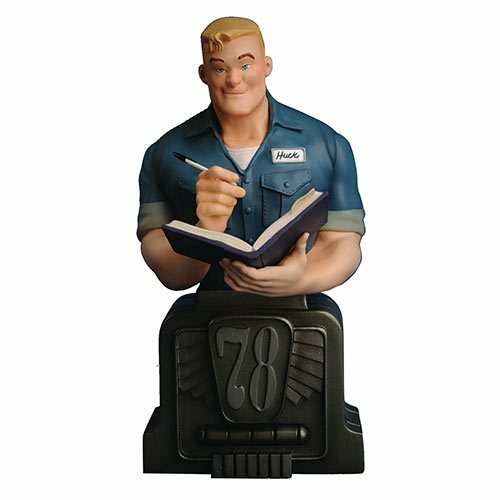 Huck is featured holding his book of good deeds and perched up on a gas pump base from the 78 station where he works when he's not saving lives. This bust was designed by Israel Skelton and Rafael Albuquerque and sculpted by Tony Cipriano.